She was born May 1, 1923 in Clermont, PA a daughter of the late Carmine A. and Alma Falbo Grillo. On April 20, 1974 in St. Elizabeth of Hungary Catholic Church, Smethport, PA she married the late Carl E. Smith. Daisy was a 1941 graduate of the former Mt. Jewett High School. She was employed at Sylvania for over 45 years. While working at Sylvania she was an avid bowler, bowling on the Sylvania teams for many years. She was a lifetime member of St. Mark Catholic Church in Emporium, a member of the CD of A, and served many years as a Eucharistic minister. Daisy was an avid artist specializing in oil and watercolors. She love to travel, was a prize-winning quilter, enjoyed square dancing, and was an avid reader. She is survived by three children; Joann (Jack) D'Ambrosio, Pittsburgh; Susan (Arthur) Beidler, Hedgesville, WV; Steve Smith, Bunola, PA; seven grandchildren, and nine great grandchildren; one brother, John (Frances) Grillo, Crystal City, MO and many nieces and nephews who were very special to her. In addition to her parents and husband she was preceded in death by a daughter-in-law, Lori Smith, two brothers, Joseph and Anthony "Tony" Grillo, one sister, Sarah DeLucia. Visitation will be at the Barnett Funeral Home on Friday from 6-8 PM. Mass of Christian Burial will be Celebrated at the St. Mark Catholic Church, 235 East Fourth Street, Emporium, PA on Saturday (August 4, 2018) at 10:00 AM with Rev. Paul S. Siebert, Pastor, as Celebrant. Rose E. Wilk, 87, of Guy and Mary Felt Manor, Emporium, PA formerly of Truman died at Penn Highlands Elk, St. Marys on Monday morning (July 23, 2018). She was born October 15, 1930 in St. Marys, PA a daughter of the late Raymond and Barbara Mahovlich Reed. On April 18, 1953 in Sacred Heart Catholic Church, St. Marys she married Thomas R. Wilk, who survives. Mrs. Wilk graduated from St. Marys High School in the class of 1948. She retired from Cameron Manufacturing where she worked for many years as a switchboard operator. Years ago she worked at Sylvania She was a member of St. Mark Catholic Church. Rose enjoyed the fall season, celebrating her birthday and halloween. In addition to her husband she is survived by a daughter, Barbara (Matthew) Grimone, Emporium; two grandchildren: Heather and Bre Grimone, two brothers, George (Nancy) Reed, Beechwood; Bruce (Sandy) Reed, Rathbun. In addition to her parents he was preceded in death by a son, Rick Wilk; and a grandson, Cash Grimone. Relatives and friends are invited to attend a graveside service at St. Mark Catholic Cemetery Chapel to be held Friday, July 27, 2018 at 2:00 PM.. If desired, Memorials may be made to the Guy and Mary Felt Manor or to the charity of donors choice. Dora M. Santiso, 90, of 613 N. Broad St., Ridgway, PA died at Penn Highlands-DuBois on Tuesday (July 17, 2018) morning. She was born November 25, 1927 in Renovo, PA a daughter of the late Frank and Concettina Curato Sette. On November 13, 1948 in St. Leo Catholic Church, Ridgway she married Anthony "Toke" Santiso, Sr., who survives. Mrs. Santiso enjoyed word search puzzles, cooking and baking. She loved feeding her family and anyone else who came through the door. She was a longtime member of St. Leo Catholic Church. Her family was most important to her. In addition to her husband she is survived by son, Francis (Cathy) Santiso; daughter, Mary Lou (Allen) Cartwright; son, Anthony Santiso, Jr.; daughter, Joan (Larry Huber) Santiso, all of Ridgway; son, Joe (Lori) Santiso, Fredericksburg, VA; six grandchildren: Anthony and Frankie Santiso, Angela Cartwright, Donny, Nick and Maria Santiso; four great grandchildren: Kaleb, Hunter, Anthony and Mason Santiso; sister, Viola Eckert, St. Marys; brother, Carmen Sette, Spain; sister: Mary Harrier, Emporium. In addition to her parents she was preceded in death by a grandson, Matthew Cartwright; four brothers, John, Joe, Patsy and Dominic Sette; two sisters, Rose Iorfido and Delores Sette. Visitation will be at the Thompson Funeral Home on Thursday from 9:00 - 10:30 AM. Mass of Christian Burial will be Celebrated at the St. Leo Catholic Church, 111 Depot Street, Ridgway, PA on Thursday (July 19, 2018) at 11:00 AM with Rev. Ross Miceli, Pastor, St. Boniface Catholic Church, as Celebrant. THOMPSON FUNERAL HOME entrusted with arrangements. Dianna L. Towner, 77, of 314 Hercules Rd, Emporium, PA died at her residence on Thursday (July 12, 2018) afternooon, surrounded by her family, following a couragious battle with cancer. She was born February 18, 1941 in St. Marys, PA a daughter of the late Minard Sprung and Ruth Ford Sprung Runco. On February 21, 1970 she married Melvin Towner, Jr., who survives. Mrs. Towner had worked at Pro America for many years, later working for Sheetz from which she retired. She was a member of the First United Methodist Church where she had participated in the choir. She had also been a member of the Emporium Country Club. She enjoyed family vacations, playing cards, golfing, bowling and spending time with her family and friends. In addition to her husband Melvin, she is survived by a daughter, Danielle (Ed) Robinson, Emporium; one granddaughter, Jenna Rockey and two great grandchildren: Bransin Rockey and Mariella Smith; one brother, William (Esther) Sprung, Florida; a sister, Patricia Focht, Emporium; sister-in-law, Barbara (Richard) Bauer, Emporium; nine nieces and nephews and many great nieces and nephews. Funeral Service will be held at the Barnett Funeral Home, 207 E. Fourth Street, Emporium, PA on Monday (July 16, 2018) at 4:00 PM with Rev. Joseph Short, Pastor, First United Methodist Church, officiating. Visitation will be at theFuneral Home on Monday from 2-4 PM. Joyce M. Lundberg, longtime resident of Emporium, died Saturday, June 30, 2018 at the age of 93. Joyce was born in Kane, Pa. on December 26, 1924 to Mabel and Stuart Magnuson. She moved to Emporium with her parents at the age of 5 and graduated from Emporium High School in 1942. Upon graduating from Bryant &amp; Stratton Business College, she worked as an accountant/secretary to help put her husband, Edward, through Pharmacy School. She then continued using her business skills at Burklund and Lundberg Pharmacy where she thrived on working with the public. She married the love of her life, Edward Lundberg, on May 25, 1946 and they were devoted to one another for 71 years. Even in the last few years of their married life when they took residency at the Felt Manor Personal Care Home, they never left each other’s side. Joyce was well known in the community, serving Cameron County in many facets. She was a very active member in the Cameron County Arts, Cameron County Historical Society, and the Order of Eastern Star Emporium Chapter 101. She served as president of the Ladies Auxiliary of Emporium Country Club, as treasurer of the Cameron County Cardiac Committee for 35 years, and was one of the first waitresses of the Cabin Kitchen. Joyce was proud to be the oldest member of her church family, the First United Methodist Church of Emporium. She was an avid bridge player and golfer and enjoyed being a part of the ECC Ladies Golf and Bridge Clubs. She found pleasure in teaching her grandkids some of her favorite cards games and taking them out on the course to play a few rounds of golf. Joyce valued being around members of the community whether it would be conversing with people at the local grocery store or working with her customers in selecting the best piece of jewelry or the perfect gift. In short, Joyce found joy in people. Joyce’s love of Hollywood films and big band music influenced her to be a star actress in the Emporium Players, Parade of Stars and the “Only Shows” where she won the audiences’ hearts. Joyce loved to “run” everywhere she went in town in her stylish high-heeled shoes, fashionable skirts, and one of a kind jewelry items and purses. Fast or very fast was her mode of movement whether it be walking or driving her white Cadillac. Besides her husband, the focus of her love was her two sons, E. Craig Lundberg of Waltham, Mass. and A. Blair Lundberg (Linda) of Emporium, and her six grandchildren: Tom Lundberg (Courtney), Adam Lundberg, Michael Lundberg (Allison), Krista LeZotte (Darin), Brittany Lundberg, Jonathan Lundberg; and one great granddaughter, Karina Lundberg. Joyce was a devoted mother and grandmother who attended all of her children and grandchildren’s extracurricular and sporting activities. She was their biggest cheerleader and a devoted ego booster to each and every one of them. Joyce’s funeral service will be held at the First United Methodist Church in Emporium on Saturday, July 21, 2018 at 11:00 a.m. with a video tribute and a luncheon to follow for friends and family. The Rev. Joseph Short, pastor, will officiate. There will be no visitation. Memorials contributions may be made to the First United Methodist Church, 306 S Spruce St., or an organization of the donor’s choice. Philip Dean Whiting, 85, of Jacksonville passed away on Saturday, July 7, 2018. Phil was the 6th of 10 children born to Harry A. and Grace Swackhammer Whiting of Sterling Run, Pennsylvania. Phil and his four brothers all honorably served their country spanning World War II through Vietnam. Phil served 21 years in the USAF. He was selected for language training at the University of Indiana, which resulted in an assignment as a Hungarian linguist during the Cold War. Phil’s skills as a linguist resulted in location to Army bases as well as Air Force Bases. Assignments included locations such as Bad Soden and Munich. A brief interval back in the US saw a stint at Ft. Belvoir, Virginia. In 1962, he was assigned to a unit in Munich, Germany, and later, the United States Military Liaison Mission in Potsdam then in East Germany. In March, 1968, Phil was awarded The Army Commendation Medal for meritorious service as an operations Sergeant Major with the USMLM in Potsdam. After four years in Berlin, he was assigned to Little Rock Air Force Base in Jacksonville, AR. After leaving the Air Force, Phil embarked on a second 21-year career for the U.S. Postal Service. Phil lived his life with joy and great energy. Always an avid outdoorsman, he grew up hunting and fishing in Pennsylvania, and continued those activities into his retirement years. After his family, golf was perhaps his greatest love, and he passed his love of golf as a legacy to his children and grandchildren. He is survived by his beloved wife of 65 years, Rachel Rumberger Whiting and his two sons, William A. Whiting (Mary) of Monticello, AR and Stephen B. Whiting (Donna) of North Little Rock, AR; grandsons Will Whiting of Austin, TX and Matt Whiting (Johannah) of Conway, AR, Sam Probasco (Alison) of Fayetteville, AR, and granddaughter, Susan Probasco of Little Rock, AR; great grandson, Camden Whiting and great granddaughter, Peyton Probasco. Phil is also survived by brothers Richard Whiting (Mary Beth) of Warren, PA; Stanley Whiting (Meg) of Emporium, PA; and Harry A. Whiting (Paula) of Webster, NY. He was preceded in death by sisters Betty Zidar Sandrovich, Beryl Hazen, Stella Kane, Margaret Woolslayer, Enid Ball, and brothers, Alvin Whiting and Ted Whiting. Phil is survived by a great host of nieces, nephews and other loving family and friends. Visitation will be Thursday, July 12, from 6:00 – 8:00 p.m. at Moore’s Funeral Home on Wright Loop Road in Jacksonville. Funeral Services will be at 1:30 p.m. on Friday, July 13 at Moore’s Funeral Home. Internment will be at a later date in Sterling Run, Pennsylvania. The family suggests a donation to the Wounded Warrior Project or Hospice Home Care Inpatient Center, 2200 South Bowman Road, Little Rock, AR 72211. Honorary pallbearers will be Lew Cotton, Wally Waddell, Steve Metzer, Jim Morton, Jim Rouse, and Bill Metzer. Arrangements entrusted to Moore’s Jacksonville Funeral Home (501) 982-2136. Francis H. Agliardo, 94, of Guy & Mary Felt Manor, Emporium, PA died at Penn Highlands Elk, St. Marys, PA on Saturday (July 7, 2018) morning. He was born October 18, 1923 in St. Marys, PA a son of the late Angelo and Captolia Chandler Agliardo. He married the late Jean Gormont Agliardo. daughter, Susan (Paul) Tresatti, Allison Park, PA; daughter, Karen (Mike) Spencer, Inman, SC; daughter, Lori (Tony) Heinrichs, Verona, WI; sixteen grandchildren, fifteen great grandchildren, three sisters, Mary Hasselman, St. Marys, Alice Anderson, Richmond, VA and Patty Heitner, Ft. Lauderdale, FL; one brother, Angelo (Mary) Agliardo, Niantic, CT.
two brothers, Burton and Edward Agliardo and sister, Betty Jones. A Mass of Christian Burial will be Celebrated at St. Mark Catholic Church, 235 East Fourth Street, Emporium, PA on Friday (July 27, 2018) at 10:30 AM with Rev. Paul S. Siebert, Pastor, as Celebrant. A Military Service will be accorded by the Cameron County Memorial Detail. Chad Anton Schatz of 611 Purdy Road, Dalton, PA, formerly of Rich Valley Road, Emporium, PA, died at his residence on Monday, July 2, 2018. Chad was born July 11, 1988, in Warren, PA, the son of Randy and Karin Nelson Schatz, Emporium. On August 21, 2017, he married Archer Jesse Schatz who survives. To a statistician, Chad could be remembered as one of the roughly 650 Americans who die each week from opioid-related overdose. But to his family and friends, Chad will always be remembered as a loveable teddy-bear of a man, a gentle giant who was humble, tender-hearted, and trusting. Chad took great joy in pleasing other people, whether it was in making them laugh, sharing what he had, or using his brute strength to help in physical labor. He was a hard worker and a loyal friend. He also was a man who wanted to protect those he loved and who stood up for the underdog. Chad most enjoyed being with his family, playing with his nephews, hunting, fishing, hiking, and sitting around campfires with family and friends. One cannot reflect on Chad’s life without recalling that he was a great athlete and that he absolutely loved little kids! In addition to his wife and parents, Chad will be loved, missed, and remembered by a brother, Randy Schatz, two sisters, Shalynn Schatz and Amily Schatz, two nephews, Cage and Cayden, all of Emporium; maternal grandmother, Bella “Nana” Nelson of Kane, paternal grandparents, David and Donna Schatz of St. Marys, and several aunts, uncles, and cousins. Chad was preceded in death by his much beloved maternal grandfather, Floyd “Papa” Nelson. A memorial gathering will be held at the Cameron County Fairgrounds, Route 46, Emporium, PA on Sunday, July 15, 2018 at 5:00 p.m.. The Rev. Lionel Owen, Pastor of Emporium Alliance Church, will officiate. Visitation with the family will follow the service. In lieu of flowers, donations toward the funeral expenses will be gratefully accepted. Richard J. Aikens, 69, of 563 S. Mountain Rd., Emporium, PA died at his residence, Emporium, PA on Friday (July 6, 2018) evening following a lengthy illness. On November 19, 1966 in Clymer, PA he married Eileen J. McMasters, who survives. Mr. Aikens retired from G.E.- Motor Coil where he had worked for many years. He was a very active member of the Emporium Fire Department where he had served for many years including two years as Fire Chief and three years as the Assistant Fire Chief. He received the Outstanding Fire Fighter Award. ! He participated in fire school training for over 12 years and 9 years in specialized firefighting school where he had received numerous awards. He was involved in underwater rescue, as a scuba diver, and was a “dive master”. He participated in numerous search and rescues. In 1983 he received the US Jaycees National Award. 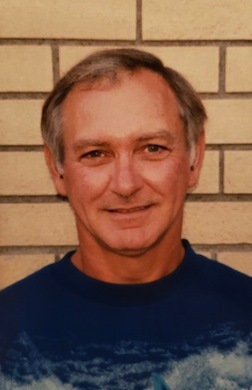 He enjoyed country music, scuba diving, going to the ocean and camping with his family in Panama City Beach and Long Beach Island in New Jersey. Most of all he loved his family.In addition to his wife he is survived by one daughter, Paula (Cpt. Michael) Jetmund, Valparesio, IN; one son, Scott Aikens, Knoxville, TN; three grandchildren: Kyle Branham, Lauren & Megan Barner, five great grandchildren: Zoey, Sophia, Lacey, Lily and Carter; one brother, Edward (Audrey) Aikens, Clymer, PA.
William A. 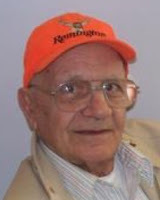 "Sonny" Peluso, Sr., 77, of 303 S. Mountain Rd, Emporium, PA died at his residence on Thursday (July 5, 2018) evening. He was born May 6, 1941 in Jersey Shore, PA a son of the late Amelio Peluso, Sr. and Lillie Fox Peluso.